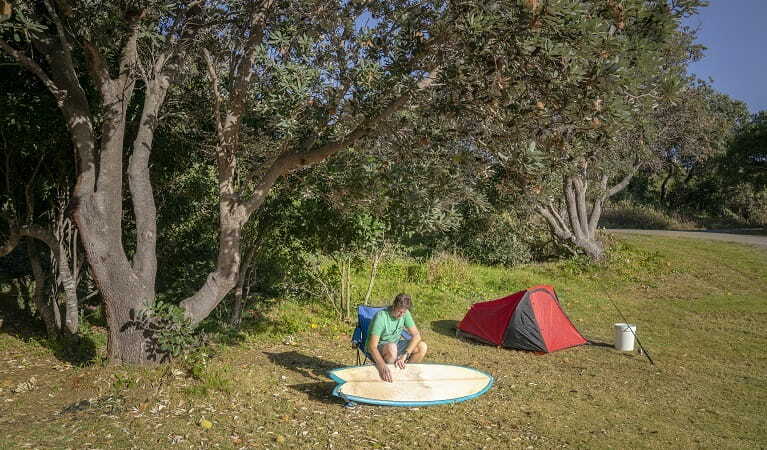 For beach camping near Kempsey and Crescent Head, head to Goolawah National Park. You can go surfing, fishing, birdwatching and even whale watching from the headlands. 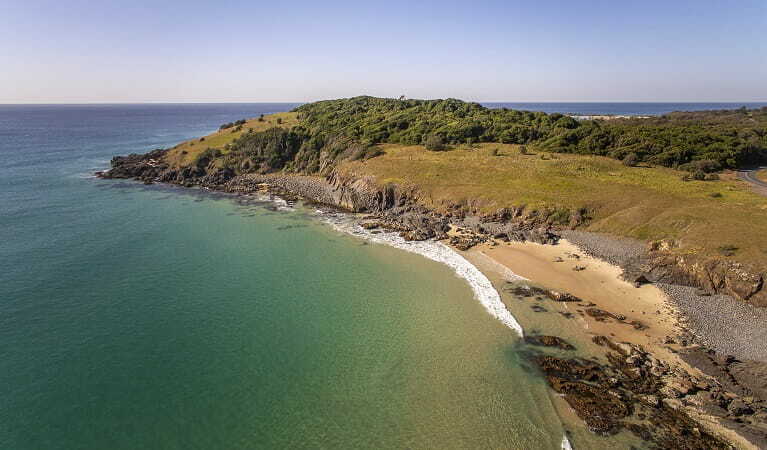 Come and be captivated by the uncrowded beaches and pristine headlands of Goolawah National Park, near Kempsey on the NSW North Coast. Roaming through these coastal surroundings, you can’t help feeling you’ve landed in a place untouched by time. Here, biological diversity combines with significant Aboriginal heritage. 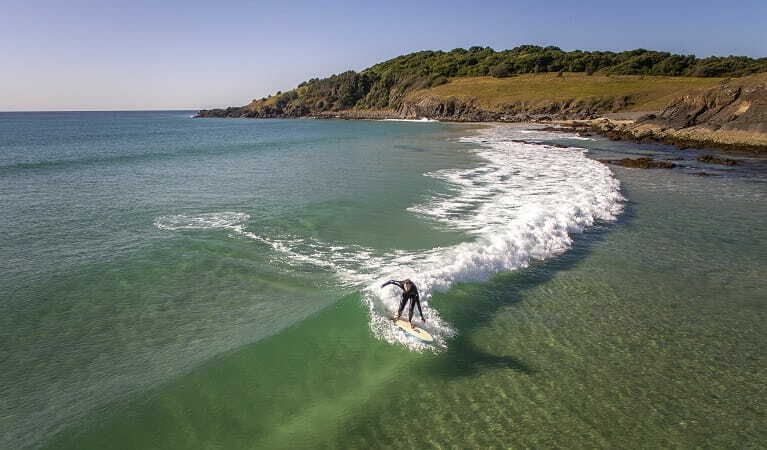 The beaches are secluded and pure, bounded by exquisite native plant life rather than carparks or cafes. 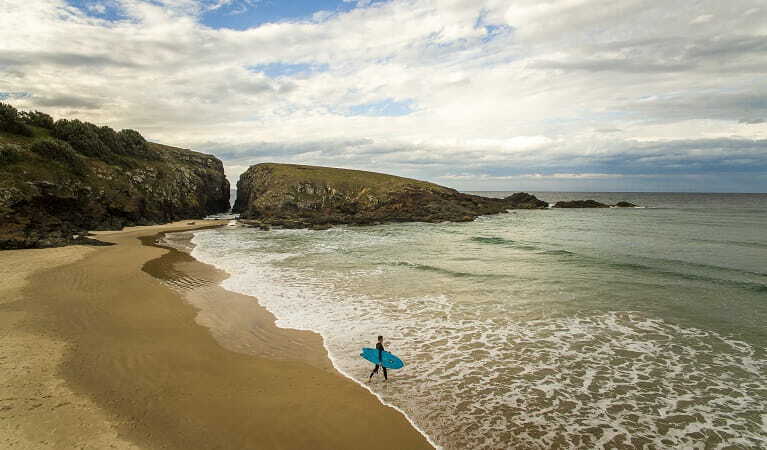 A left-hand point break beckons to surfers, while spectacular rocky shores, reefs and a lagoon provide the ideal setting for snorkelling or swimming. 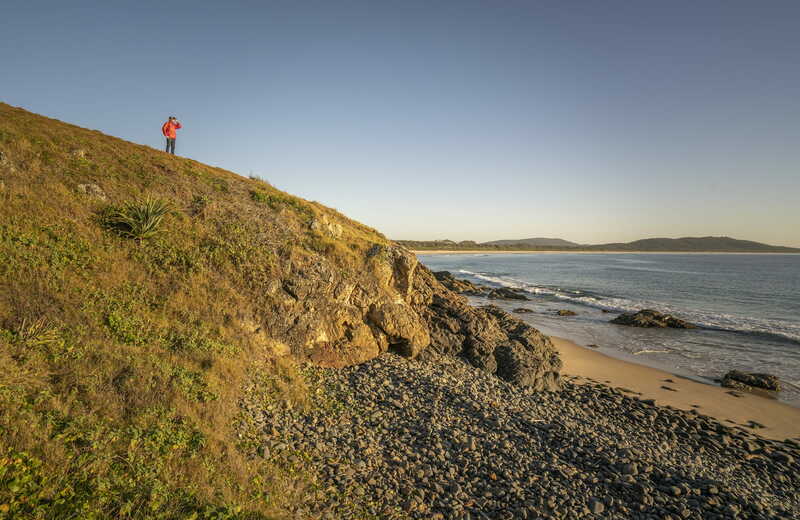 Go birdwatching or whale watching, spot dolphins and turtles, or scan the bush for koalas or dingoes. To really connect with nature, nothing compares with a night or two in the great outdoors. 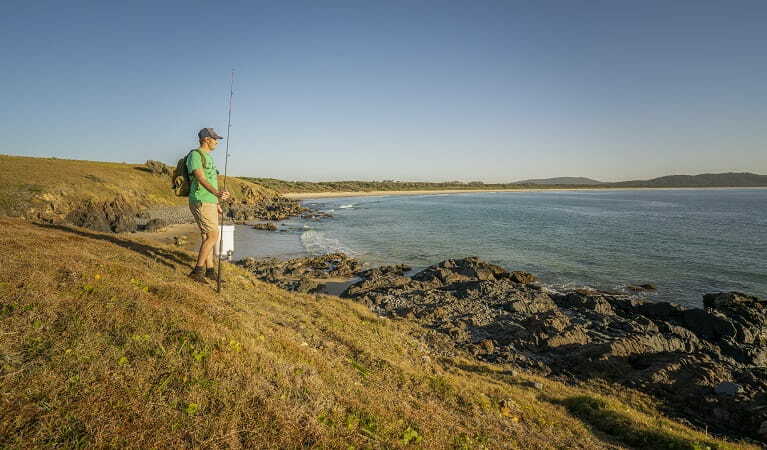 Head to Racecourse campground, or nearby Delicate campground in Goolawah Regional Park, for that low-key beach camping experience, followed by a beach walk, a spot of fishing, or an unforgettable moment spent watching the sun rise over this tranquil place of beauty. Goolawah National Park is always open but may have to close at times due to poor weather or fire danger.